Are you taking some self-care time to get ready for the busy season ahead? A little spa time at home might be just the boost you need as part of making a joyful life. These end-of-spring days get me thinking about spending time in the garden and enjoying the beach. I think a session with a loofah and some happy soap would be great! I’m happy to be bringing you a new summer spa giveaway to enter as you enjoy the beginning of summer, June 8 through July 6. 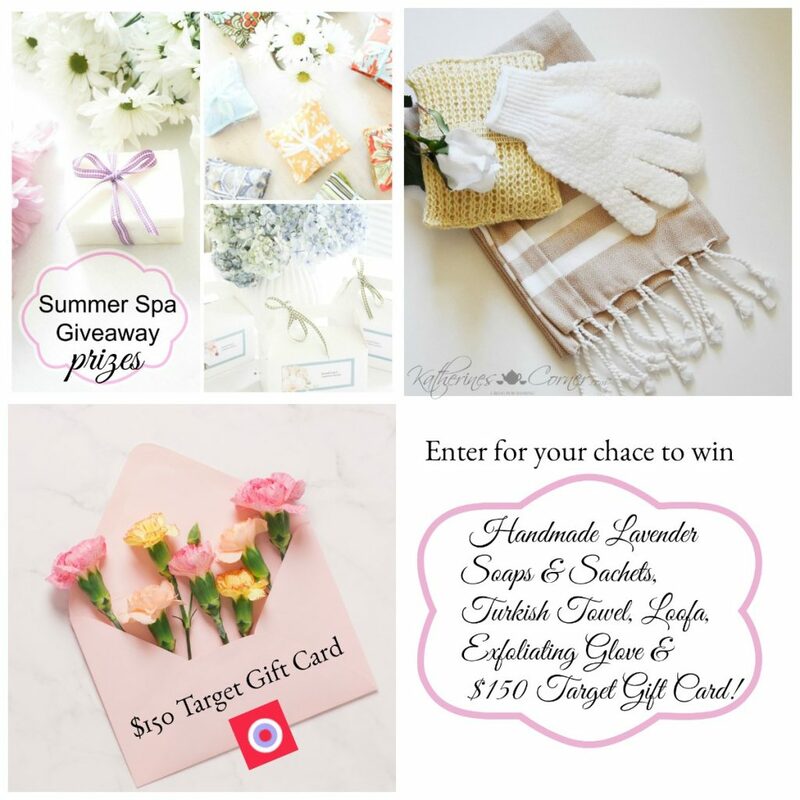 I’m joining Katherine, her giveaway sponsor Simple Nature Decor and some of Katherine’s bloggy friends to bring you the Summer Spa Giveaway! 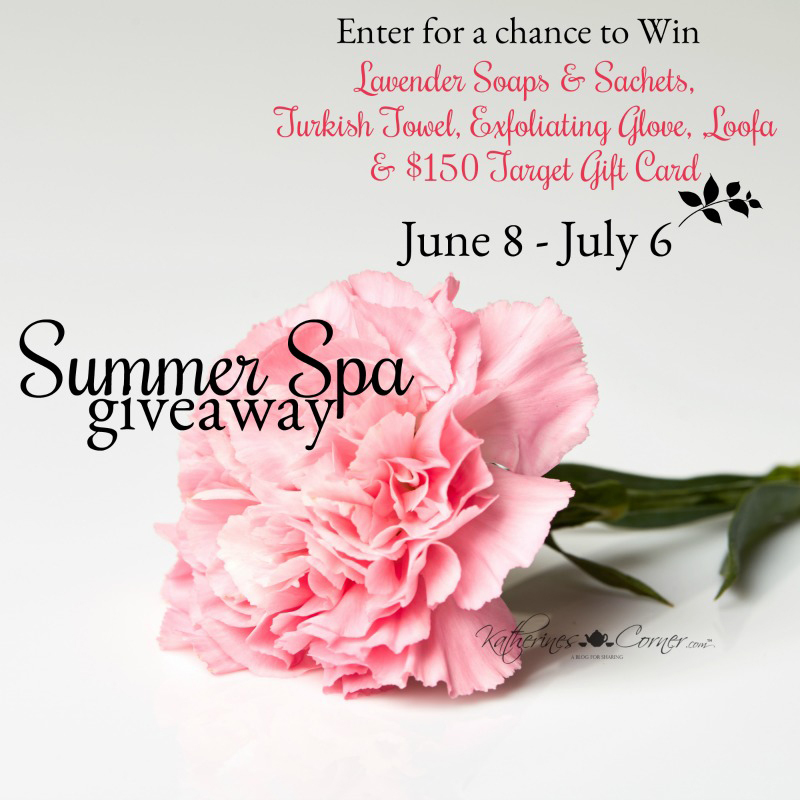 One winner will receive a handmade soaps set courtesy of the sponsor, loofa glove, Turkish towel and the skin exfoliator compliments of Katherines Corner Shop and a $150 gift card for Target too! 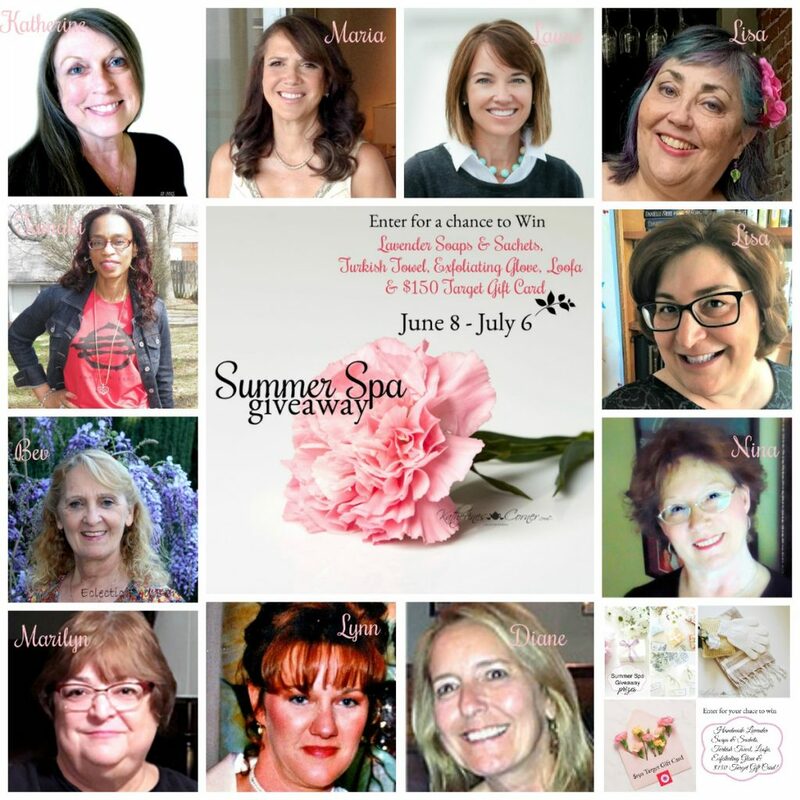 Prizes for the Summer Spa Giveaway are provided by Simple Nature Decor, Katherines Corner, Katherines Corner Shop, and all of the lovely giveaway hostesses. Hey K, Thanks so much for hosting this giveaway! I hope everyone enjoys playing along with us!